More resignations than you can count on one hand. To complement the Trump-is-splitting-up-the-Republican-party storyline, there is the still developing Trump-is-splitting-up-the-conservative-press narrative, at least as applies to Breitbart News. As BuzzFeed first reported Sunday night, Breitbart reporter Michelle Fields and editor-at-large Ben Shapiro have resigned from the publication in response to what they cited as Breitbart’s insufficient response to an incident involving Fields and Trump campaign manager Corey Lewandowski. Lewandowski is alleged to have grabbed Fields and dragged her almost to the ground during a campaign presser last week. “I do not believe Breitbart News has adequately stood by me during the events of the past week and because of that I believe it is now best for us to part ways,” Fields said in a statement to BuzzFeed. Andrew’s life mission has been betrayed. 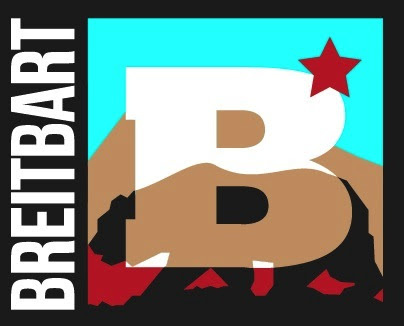 Indeed, Breitbart News, under the chairmanship of Steve Bannon, has put a stake through the heart of Andrew’s legacy. In my opinion, Steve Bannon is a bully, and has sold out Andrew’s mission in order to back another bully, Donald Trump; he has shaped the company into Trump’s personal Pravda, to the extent that he abandoned and undercut his own reporter, Breitbart News’ Michelle Fields, in order to protect Trump’s bully campaign manager, Corey Lewandowski, who allegedly assaulted Michelle. Breitbart, in response, posted and later took down a piece with a curious byline and acerbic tone. Titled Ben Shapiro Betrays Loyal Breitbart Readers in Pursuit of Fox News Contributorship, it was written, supposedly, by William Bigelow, which, it turns out, is really a pseudonym for David Shapiro, Ben Shapiro’s father and another now-former writer for the site. It was really written by editor at large Joel B. Pollak, who explained in a statement that it was “part of an effort to make light of a significant company event, and was published as a result of a misunderstanding without going through the normal editorial channels.” He also apologized to Fields and Shapiro in that statement. LOS ANGELES — Former Breitbart News editor-at-large Ben Shapiro announced Sunday evening via left-wing Buzzfeed that he is abandoning Andrew Breitbart’s lifelong best friend, widow, hand-picked management team and friends in pursuit of an elusive contributorship at the Fox News Channel. Friends of Hamas could not be found for comment. Someone else who could not be found for comment, metaphorically speaking, was Breitbart spokesman Kurt Bardella, who resigned Friday. Instinct and internal Slack messages obtained by BuzzFeed, which showed huge disagreement among many staffers when ordered by Pollak not to publicly broadcast their support for Fields, all but assured there would be more resignations coming. As of this afternoon, national security correspondent Jordan Schachtel and associate editor Jarrett Stepman are also out, having tendered their resignations, reports Politico’s Hadas Gold. Breitbart News is no longer a journalistic enterprise, but instead, in my opinion, something resembling an unaffiliated media Super PAC for the Trump campaign. I signed my contract to work as a journalist, not as a member of the Donald J. Trump for President media network. When even Breitbart’s own employees can no longer view the publication as a journalistic outfit, that says everything.